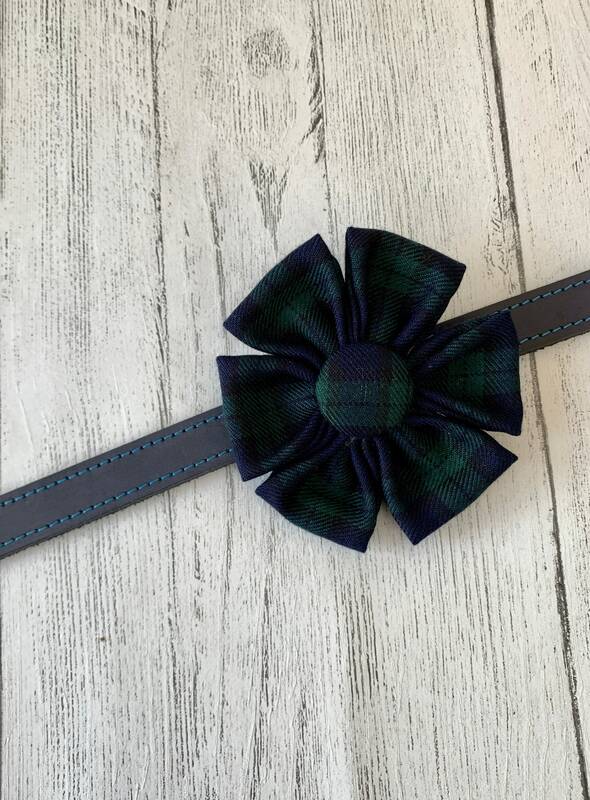 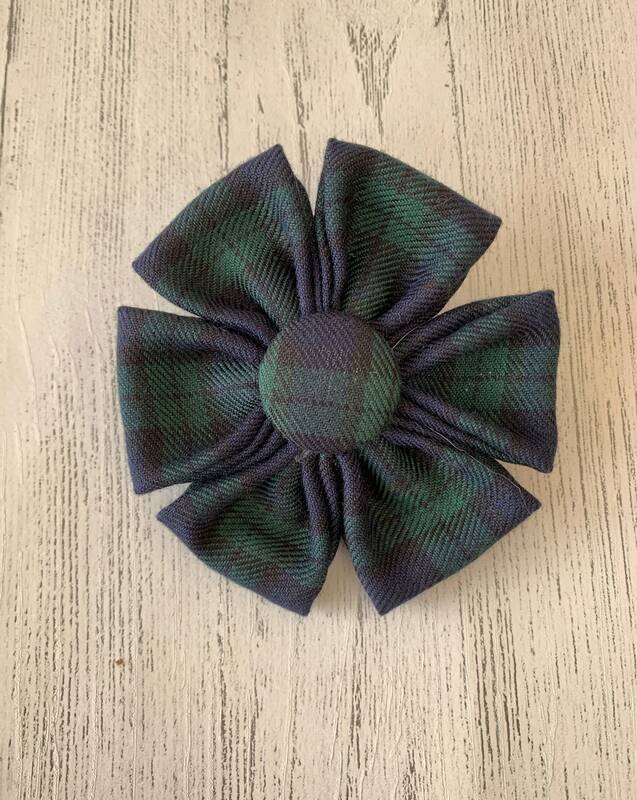 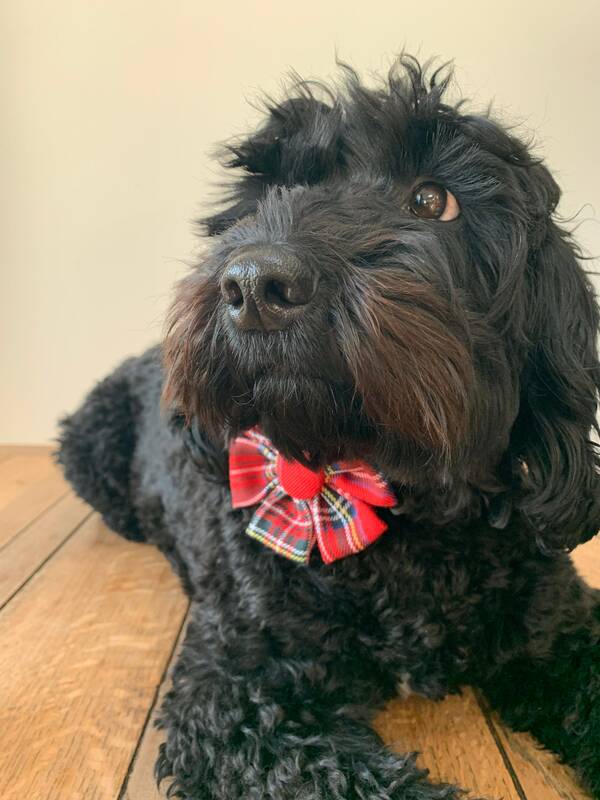 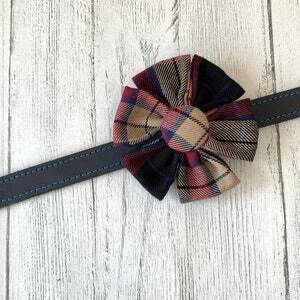 Handmade slip over the collar flower made in a popular green and navy black watch tartan with a matching fabric button centre. 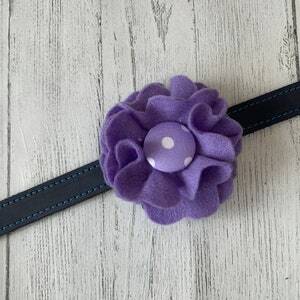 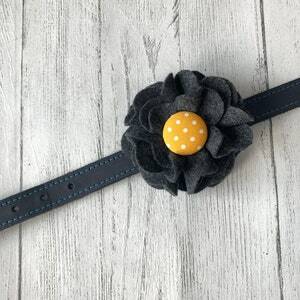 The flowers are attached using an elastic fastening at the back which slips onto the collar holding the flower firmly in place. 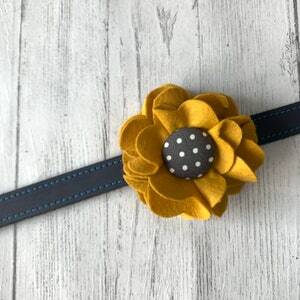 These can also be made with a popper fastening to attach to a harness upon request. 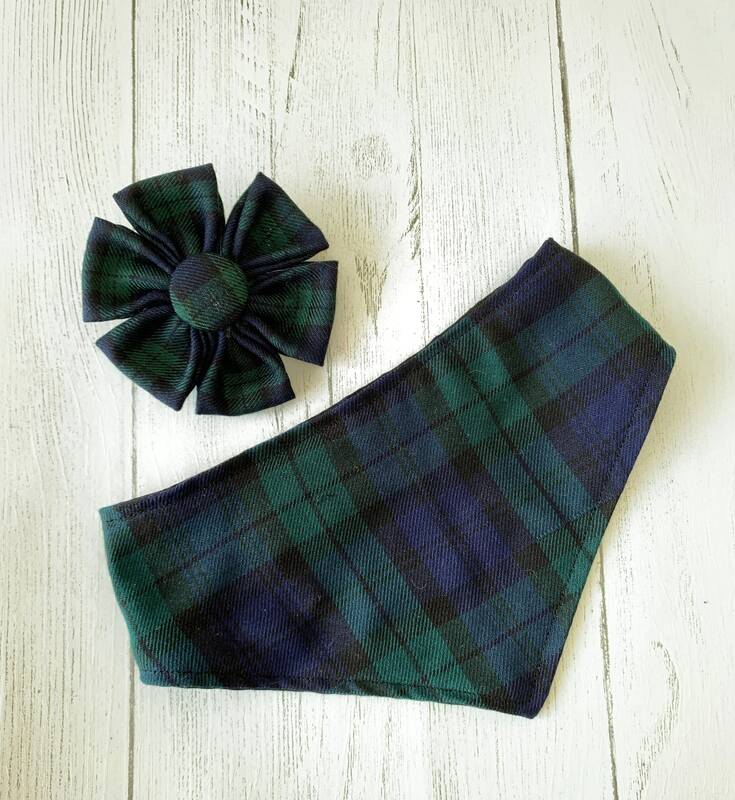 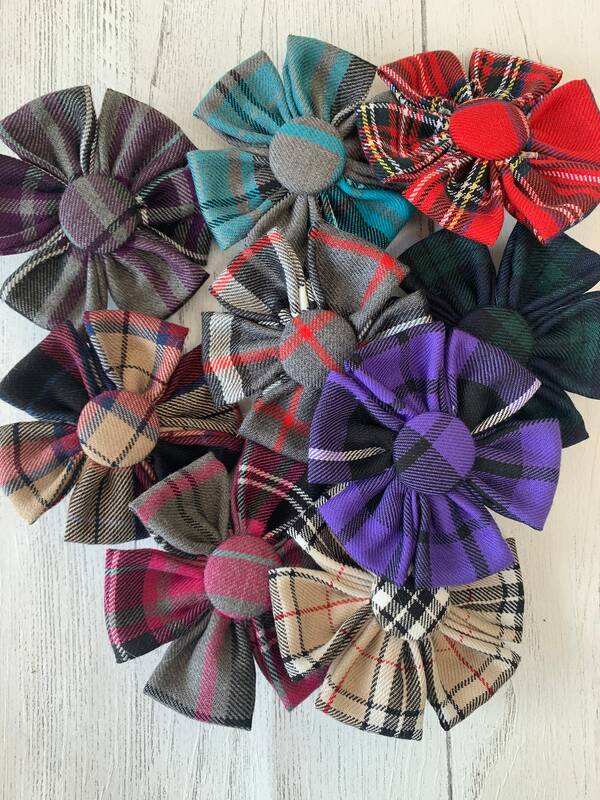 Matching Bandanas and bow ties are also available.